This story has been updated to correct the name of former McAllen High basketball standout to Ryan Evans. 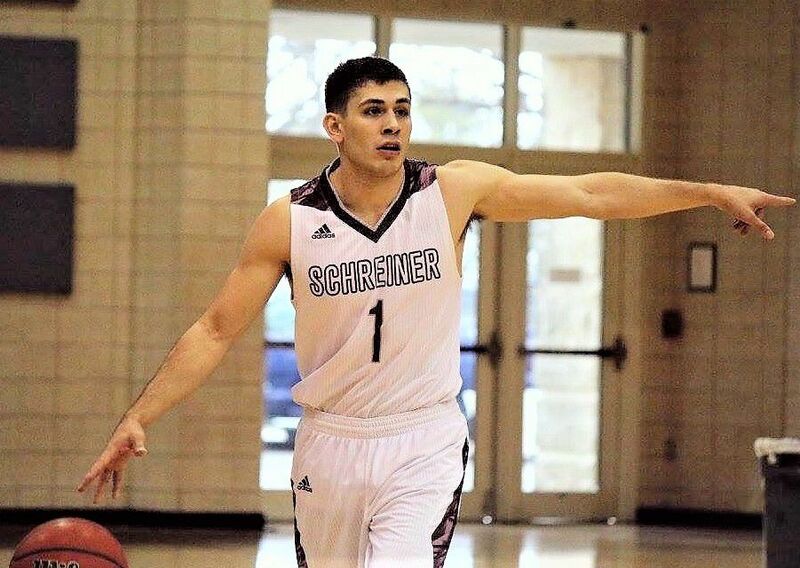 McALLEN — Former PSJA High basketball standout Luis Mancillas has followed the trail of several RGV hoopsters from deep South Texas to Schreiner University in the Hill Country. Nestled next to the Guadalupe River in Kerrville, Schreiner has been home to a legion of Valley athletes, including some the RGV’s best basketball players such as Edinburg High’s Steve Guerrero and McHi’s Ryan Evans. Similarly, Mancillas picked Schreiner, a Division III school, to further his basketball career after a standout period at PSJA High. During his senior year (2014), he averaged 21.6 points per game, seven assists, six rebounds and five steals. Now 22 and a graduate student, Mancillas is in his final season at Schreiner, and he said he could not have picked a better school. “Choosing Schreiner was an easy decision for me once I visited the school and met some teammates and the coach,” Mancillas, a point guard and team captain, said. He added that Schreiner coach Conner Kuykendall’s first year was Mancillas’ first (2014-15), and that he wanted to get into a program that was starting anew and would give freshmen playing time. Mancillas went on play in 20 games that year. He played more as a sophomore and junior. Now in his final year, he’s the starting point guard and team captain for the 8-9 Mountaineers. The team is 5-1 in conference. Last year, the Mountaineers went 11-3 in league play. Mancillas already has a bachelor’s degree in sports management and is working toward a master’s in business administration. That big picture outlook comes from maturity. Mancillas, who has scored 81 points through 15 games this year, said one of his biggest adjustments from high school to college was changing his mentality from being a scorer to more of a leader. Mancillas, an all-district and all-Valley selection in high school who ranked in the top four percent of his class, is set to graduate with his master’s degree in August. 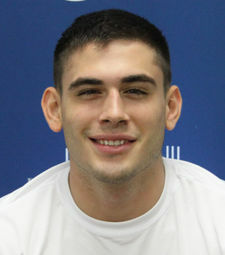 Schreiner, with a student population of 1,200, plays in the Southern Collegiate Athletic Conference with schools such as Trinity University and Southwestern in Georgetown. Former all-everything Brownsville Veterans point guard Jordan Rudd chose to play college basketball over her many other talents and is now plying her trade at DIII Trinity University in San Antonio. The 5-foot-5 freshman guard has played in all 14 of the Tigers’ games, averaging about 15 minutes per contest. Rudd, who was a first-team all-Valley selection and named a Wendy’s High School Heisman winner while at Brownsville Veterans, is scoring 3.6 points and posting 3.0 rebounds per game for 12-2 Trinity. Rudd is also recording more than two steals and two assists per game in limited playing time. Sometimes athletes need a bigger challenge to step up their game. That might be the case with Mercedes alum Jaime Rodriguez. Overlooked by most schools, the 5-foot-9 freshman combo guard is flourishing at Central Christian College of the Bible in Missouri. 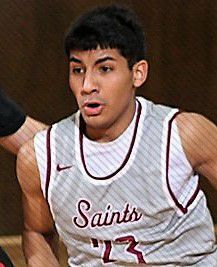 Rodriguez, an all-district performer in high school, has started 13 of 14 games for the Saints, who play at a level comparable to the NAIA and in a Christian conference of faith-based schools. The freshman is filling up the stat sheet, and through 14 games he has scored 13.1 points per game (ranking third on team), has connected on 21 of 48 3-point attempts and leads the team in steals while averaging 23 minutes per game. At Edinburg Vela, Jaida Muhammad was a three-sport star. She was all-district and all-area in volleyball and basketball and also ran track. Muhammad decided to focus on basketball after high school and is now at Paris Junior College — a school well known for grooming basketball players. So far, Muhammad’s playing time has been up and down, but the freshman has shown signs of improving during the minutes she’s earned. The 5-foot-7 guard has started seven of the 16 games the Dragons have played this season. She has scored a total of 50 points on the year and has 17 assists and 15 steals. She has connected on 5 of 22 3-point tries.